The Wolf Pro Five Year Labor Warranty. 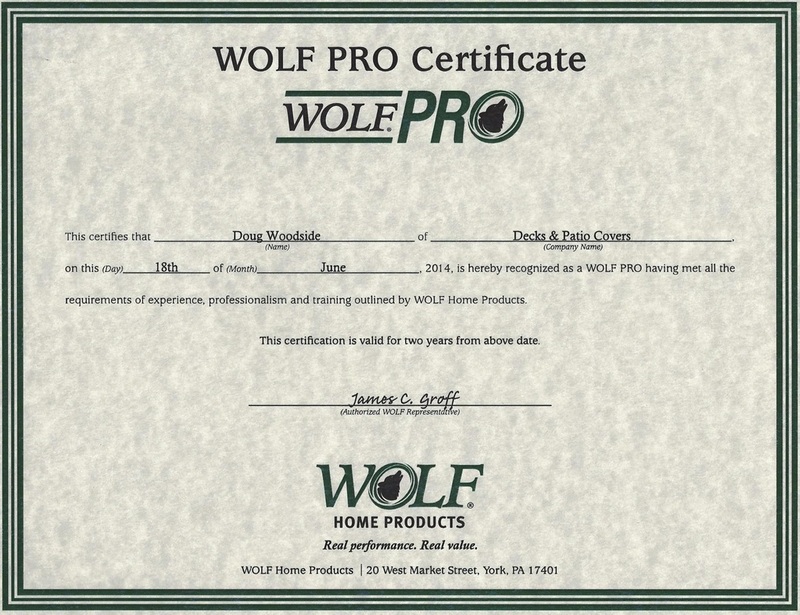 ​The Wolf Pro Warranty﻿﻿﻿ is absolutely the best warranty you will find for any composite or alternative decking product. It is easy to see the difference when comparing Wolf to other composite decking products. Backed with a 25 year Stain and Fade Warranty and combined with the Wolf Pro Five Year Labor Warranty, Wolf stand alone at the top of choices for your decking project. 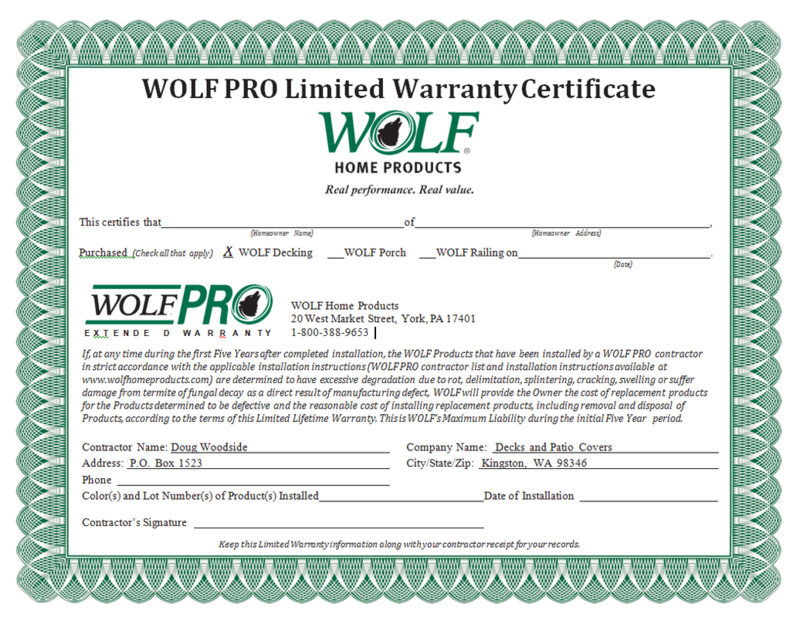 No other decking contractor can match the assurance you will receive working with a Wolf Pro contractor and Wolf PVC decking products. 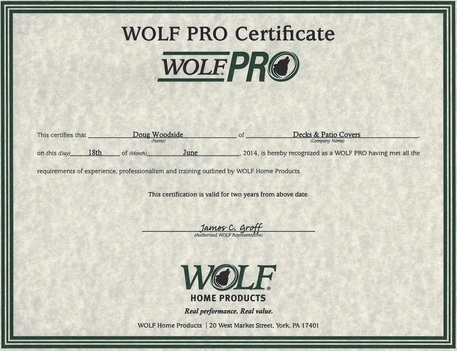 Wolf selects only those proven to be the industries best deck building professionals to certify as a Wolf Pro which allows them to provide their client's the manufactured backed Five Year Labor Warranty.